Naples, Fla. (Apr. 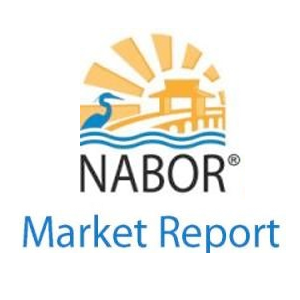 12, 2013) – The Naples area overall median home price increased 17 percent for the 12 months that ended in March 2013, according to a report released by the Naples Area Board of REALTORS® (NABOR®), which tracks home listings and sales within Collier County (excluding Marco Island). – The overall median closed price increased 17 percent from $184,000 at the end of March 2012 to $215,000 for the 12-month period ending March 2013. – Overall pending sales increased 4 percent from 10,204 units to 10,633 units for the 12-month period ending March 2013. Overall pending sales increased 22 percent in the $300,000 to $500,000 category from 1,414 units to 1,729 units; 13 percent in the $500,000 to $1 million category, from 1,052 units to 1,190 units; increased 18 percent in the $1 million to $2 million category, from 452 units to 532 units; and increased 12 percent in the $2 million plus category, from 277 units to 310 units, respectively for the 12-month period ending March 2013. – The average DOM (Days on the Market) decreased 8 percent overall from 171 days in March 2012 to 157 days in March 2013. – Inventory decreased 14 percent from 7,599 units in March 2012 to 6,565 units in March 2013. – Overall pending sales in the Naples coastal area increased 9 percent from 1,912 units to 2,091 units, and closed sales increased 15 percent, from 1,653 units to 1,897 units, for the 12-month period ending March 2013. – Overall closed sales decreased 2 percent, from 2,220 units in first quarter 2012 to 2,167 units in first quarter 2013. Overall closed sales increased 13 percent in the $300,000-$500,000 category, from 309 units to 350 units, and increased 15 percent in the $1 million-$2 million category, from 99 units to 114 units, from first quarter 2012 to first quarter 2013, respectively. – The median closed price increased 24 percent overall, from $190,000 in first quarter 2012 to $235,000 in first quarter 2013. In the $300,000 and under category the median closed price increased 18 percent from $135,000 in first quarter 2012 to $159,000 in first quarter 2013. – Overall pending sales decreased 2 percent, from 3,664 pending sales in first quarter 2012 to 3,598 pending sales in first quarter 2013. – The average DOM (Days on the Market) decreased 4 percent overall from 169 days in first quarter 2012 to 162 days in first quarter 2013.